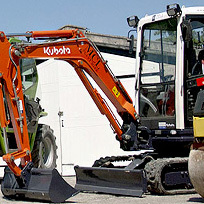 MCL York’s extensive groundwork services includes: Concreting of Walls and Foundations; Landscaping and Land/Site Clearance; Excavation and digging of Foundations and Trenches ; Drainage Work, Land Draining, Pipe Laying; Road Works and Tarmacing of Driveways, Car Parks and Forecourts. 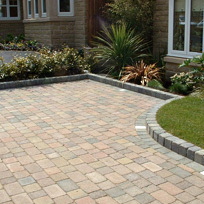 Reinforced slabs, garage bases, retaining walls, pathways, driveways, footings etc. Driveways, paths, car parks, forecourts, etc. MCL can perform repairs for sewers and sewerage connections, to drainage channels and the laying of drainage systems. MCL can install a variety of tanks to help with drainage, including Biodisc-treatment tanks, Sewage/drainage pumps and tanks, Oil-separator tanks, Septic tanks, and Soak-away systems. MCL York offer a full tarmacing and installation service. Our vast experience in the sector and solid reputation ensure you of a high quality of work and service. We will undertake all aspects of the job, including removal of old and damaged surfaces to the installation of drainage facilities, and the laying of the new surface in a variety of finishes and colours. 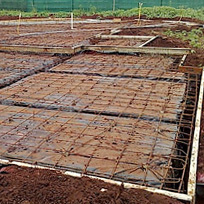 Foundations are a critical and difficult aspect of a build, but MCL can to advise on what types of foundations are required for your project. Also known as footings or a substructure, foundations are the base for a building and support it from top to bottom.